One of my friends called me the other day to tell me about this panel survey she qualified for. All you have to do is go and answer some questions about lotion and get $100 cash. Well, not knowing ANYTHING about where I was going and who was in charge I didn't figure I should go. Besides, I could tell Josh was about as on board with this idea as he was when I worked for the Prison in Raleigh. Yes, you read that right. Josh - "You went through all that security?" Me - "Yeah, don't worry babe, they all had their hand cuffs on the whole time I walked by them. Until they get to the school on the top floor..."
Josh - "What, the school is on the top floor?!?!" Josh - "...and they don't have handcuffs on or restraints when they are RIGHT NEXT TO YOU?!" Josh - "...and how do they keep up their assignments without any sharp objects?" Me - "They have pencils"
Josh - "You are quitting tomorrow!" 4-Admin. 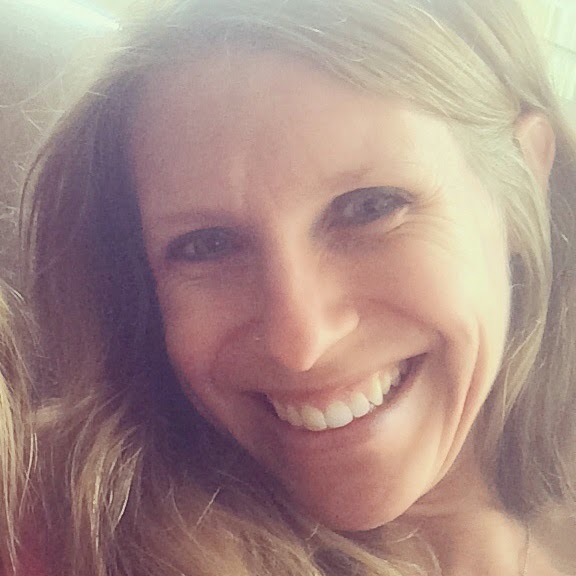 Assistant at Carolina Hope Christian Adoption Agency - I loved this job! Back then there were only me and my 2 bosses on staff. They've really grown! 5-Christan Counselor's office - This was only a temp. job and man was I glad for it to be over! All I did was answer phones, but there were like 5 lines. It was like AIM on steroids, AHHH! 6-Senior Center in Wendell- Our slogan was ... "I'm Awake, I'm Alive, and I Feel Good"=) I worked in the same building as my friend Emily even though we had a separate group of people. Boy, that was an interesting job! 8-Nanny - After I'd get off work at the preschool I'd drive over to pick Melissa up from school. She started first grade when I first started watching her. We still keep in contact with her family. 10-Mommy-by far my favorite of them all! It's your turn! What are some jobs you've had, crazy or ordinary, fun or boring. I want to know!!! "Chick-fil-A Playground & A Guitar-lover's Heaven"
Josh had a few errands to run and Rainy was sick at home from school so he said he'd take Zeke with him. Zeke was SO EXCITED to go on his first "Daddy Date"! Josh needed to get some guitar strings. I think Josh alone is keeping Guitar Center in business sometimes=) He always forgets that they don't open until 10, so when he and Zeke arrived around 9:30 they realized that they had some time to kill. They drove over to the chick-fil-a playground for a little fun in the FREEZING weather!!! When 10 o'clock rolled around they were definitely ready for guitar center. Zeke was in heaven with all the guitars and pedals. Josh said he had a BLAST!!! This daddy date Rocked this little Rock Star's world! You get the picture. Whether it is just my two kids or we have friends over, these toys are always the ones the kids end up fighting over. Do you have THESE kinds of toys? If so, how do you handle this situation? Put it away to avoid the situation all together, buy another one??? I must admit, there are a couple of these items I've gotten 2 of, just to avoid the meltdown, but for the most part we just try to work it out as best we can. Zeke - "Let's sing a song ... how 'bout abcdefg's?" Me - "Ok, let's sing." Zeke - "No, we gotta pray first!" Starts at 7pm - IT'S FREE!!! Do you mom's out there just gaze at your kid's pictures and wonder where the time has gone? When Josh was in seminary, and before we had kids (I had a little more time on my hands), I was really trying to pinch pennies to make ends meet. We just thought we had no time and money then=) Anyway, one day I took THE WHOLE DAY and made a spreadsheet of things that were staples at our house and went to ALL the stores in the area that I could get groceries from. From most expensive to least expensive this included: Harris Teeter, Lowes Foods, Food Lion and Super Target (we didn't have a Wal-Mart there at the time). The majority of my list was cheaper at Super Target. Well, fast forward 2 moves, 2 kids and 1 self-supported ministry later and we are learning how to stretch a dollar even further! Wow, what a fulfilling weekend! We left the conference on Friday afternoon and headed straight to Knightdale where our kids were. As soon as naps were over we packed up the kids and drove to Raleigh, where another one of Josh's brothers lives, and had a cookout with Godfrey and Joy Wanamitsa from Arise Africa in Uganda, Africa. They are like family. Josh lived with them in Uganda for a summer before we got married. They lead a GREAT ministry there. Then, we got up the next morning and headed over to Uncle Pal and Aunt Jenn's house for a QUICK visit. Then, we headed over to visit our friends Cam and Lynn Wooten. They have an AMAZING story of Cam's battle with leukemia. They look back and see how God orchestrated the whole event and used it for His glory! It was SOOO good to see them. We got home late, which means the kids went to sleep LATE, only to wake them back up at 6:30am to get to Carmel to lead worship for their 2 early contemporary services then head over to our home church for the GRAND OPENING of the new building. After a LONG nap we went back up to church for CharlotteONE rehearsal for the CD Release on Tuesday! What a GREAT weekend for us!! What did you do this weekend? Paul Baloche during one of the seminars. but doesn't his base player look like Joey Tribbiani from "Friends"? Josh and I have been attending the Integrity Worship Conference here in Charlotte. It's the first worship conference that I've been able to go to with Josh (he tries to go to a conference one time a year). Anyway, it has been incredible to see the hearts of these worship leaders and musicians. The underlying theme that I've totally picked up on is that Worship is not the music we play or the words we sing, it is a lifestyle. I'll try to get some key things I've learned on here for you soon=) We've been able to meet all the worship leaders; Paul Baloche, Joel Auge, Glenn Packiam, Dr. Pete Sanchez and Jared Anderson. They are so down to earth and sincere. It only takes little things to make me smile sometimes. New bath towels. I wish I could put a picture of Josh trying to wrap our old little, thin, stinky towels around his waste, but I won't! That is just what they were though. For some reason, after the first use they'd get this musty gross smell. They were tiny. I mean, I could hardy wrap it around me while I was getting ready in the bathroom. The material was really rough. ...even if the box only cost $.25! I think we're covered in the dry pasta department! Now, we just need to find a place to put all this "stuff"!!! ***Stay tuned for a give-away of this new cd. REMEMBER you can get a FREE Download on Josh's blog too! 6 - Get some Christmas shopping done! 5 - Church name tags - almost every church we lead worship for has the sticker name tag system where you stick some sort of name tag on the back of the kid's shirt and then the parents get to wear one too. At least ONE of us forgets to take our sticker off BEFORE we put our clothes in the laundry basket. 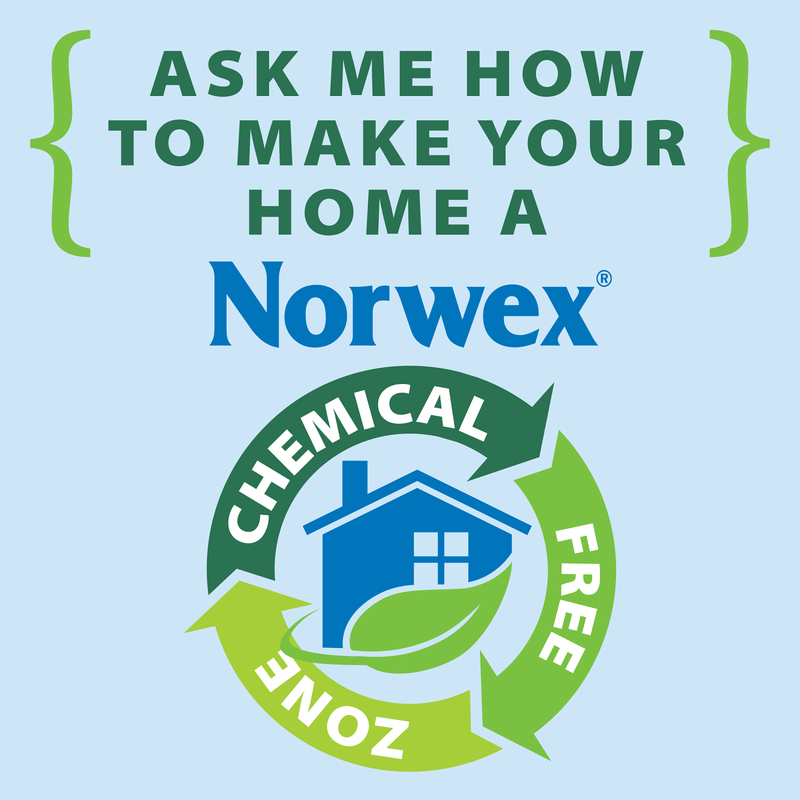 What are some "surprises" that you find in your dryer? 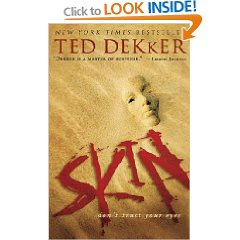 I just finished SKIN by Ted Dekker. He is such a good writer, especially if he can keep me interested. This book shows a GREAT depiction of worldly beauty vs. spiritual beauty. I definitely recommend this read, but you have got to read "The Circle Trilogy" First!! So many of his other books are wrapped around this series. Josh and I play a game to see how long we can go in the fall/winter until we turn the heat on. It was FREEZING when we woke up! I didn't even take this picture until 10am and it was only 59 inside. We decided to build a fire and have some fun family time in the living room this morning while we warmed up. The kids LOVED it! Josh and I have a new favorite date. We cuddle up in bed, get the MAC out and watch old LOST episodes. We never really got into it when it started and have wondered what all the hype is about. So, a few weeks ago we started from the beginning! That's right, we are on SEASON 1 Episode 19. But to say that Josh and I are addicted is an UNDERSTATEMENT! AND I can't even begin to tell you how emotionally attached to these kinds of shows I get. I started crying ... yes, CRYING when I learned about John Lock's story, or maybe it was my sleep deprivation kicking in from staying up WAY TOO LATE watching this show!! I'm in the middle of "Character Makeover" by Katie Brazelton & Shelley Leith and LOVING IT! I think they wrote the chapter I read today just for me. Here are the TOP TEN De-Stressors, concluded from Mark 6. 1. Don't add to your stress; start eliminating it. *It takes self-control to resist overcommitment. 2. Remove some stress by delegating. *I've already discussed my tendency to control and perfectionism, and I feel like these are areas I will always struggle with. In order to alleviate some stress in our lives we must let go of some things, even if it isn't done exactly the way we would do it! *It takes self-control to resist overcontrolling. 3. Release your stress by rejuvenating. *It takes self-control to resist overactivity. 4. Refocus on your passion when stress is escalating. *This reminded me of a post on Lysa's blog about the "interruptions" in her day and grabbing hold of them to focus on other's. This is her passion! We should all have a passion for God's people like this. *It takes self-control to resist frustration and focus on your passion. 5. Don't avoid your stress; it will be waiting for you. *My sister and I were just talking about my tendency to ignore our "economic crisis" instead of really grabbing ahold of what is going on and trusting God completely. *It takes self-control to resist avoiding your problem. 6. Don't increase your stress by exaggerating. *It takes self-control to resist overreacting. 7. Address your stress by prioritizing and evaluating. *It takes self-control to resist getting overwhelmed. 8. Get help with your stress by organizing and coordinating. * Read Mark 6:39 HERE. *It takes self-control to resist overworking. 9. Manage your stress by not deviating. *Do this by staying in prayer, in good health and on schedule. *It takes self-control to resist slipping away from good habits. 10. Deepen your faith when stress turns to crisis. *It takes self-control to resist becoming overanxious. I don't know about you but this type of thinking and refocusing doesn't come over-night. It is a process, just like everything else in life. 4:00 - Scrapbook, I'm ALMOST caught up!!! Areyna absolutely LOVES her school. She comes home with some of the coolest stuff. Yesterday they made bird feeders. She is so excited to find a place to hang it outside. Anyway, I also noticed that her teachers are having the kids trace their names for practice a lot. I followed the web page at the bottom of their practice pages and it is such a cool link!! You can make a tracer page saying ANYTHING you want. I thought I'd pass it on for all you creative mom's out their looking for something fun and productive to do with your kiddos=) They have other fun activities too! So, imagine a 3-year-old sitting on one of these. The thing ALWAYS flushes on her and she gets so scared she either jumps off and pee's on the floor or she jumps off so scared she can't pee at all!! Well this time would be different. We decided to walk a little further down the hall to the kids wing and use one of those short children's pottie's. We open the door and the kids pottie's are like this too!!! She did a little better on this one since she fit it better, but she still asked in a shaky voice if "is it going to flush on me?" So, for any of you wondering what kind of toilet I prefer, it is just the standard, flush it yourself, toilet=) I know you were dying to know!! "Therefore I will boast all the more gladly about my weaknesses, so that Christ's power may rest on me. That is why, for Christ's sake, I delight in weaknesses, in insults, in hardships, in persecutions, in difficulties. For when I am weak, then I am made strong." When I was little I went through this stage where I wanted so badly to have a PERFECT day. My goal was to get through a WHOLE day without doing anything bad or foolish. HA! I wouldn't get 30 minutes into my day before I'd roll my eyes at my mom or push my brother, and I'd feel the defeat of my sin weighing on me. *Remember, I was like 7 years old=) I'd feel so guilty for messing up, so defeated by myself because I couldn't be the perfect person that I thought God wanted me to be. The next day I'd get up and try even harder, but I'd inevitably do something else that didn't please God. In these verses Paul was talking about the "thorn in the flesh" that God put on Paul to always remind him that God was the one in control. This "thorn" was NEVER removed. Paul had to view this weakness as a blessing, as a constant reminder. He had to shift his focus. My perspective must shift to view these imperfections, these weaknesses in my life, as tools that God can use to be made GREAT! That should be my end goal, right? Not so that I can pat myself on the back for getting through a whole day being a "good person", or being the perfect mom, or having it all together (do you see my perfectionism coming out or what???) but to make God GREAT! God will work through my weaknesses if I will allow Him to take total control over them. He may never take them away, but He can definitely be seen through them. Every few months or so I feel the need to go through Josh's ever-growing pile of unmatched socks and try to find the missing pairs. They may look close enough that Josh might not know that they don't match but I KNOW! Why are HIS the only ones that ever go missing? Do you wear mis-matched socks=) or do you throw away the missing pair after awhile? Rainy's preschool had "Donuts With Daddy" on Friday morning before school. She was so excited for another date with her daddy! It was a FREE fun time for them and Josh was excited to meet some of the other dad's in Rainy's class.